If you do not have a pet, you might have thought deeply about which animal you should buy. Dogs and Cats are great, but these are common. If you are looking for something more exciting why not get a bird. Birds make great pets. One of the birds you could consider buying is the parakeet. This is a small bird in the parrot family. Detailed below are some reasons why you should consider getting yourself a parakeet as a pet. Owning a parakeet as a pet is like having a miniature work of art. They come in a variety of patterns and colors, and this makes them gorgeous. You can never find two parakeets that are exactly alike. Each of these birds is unique. They can be very adorable especially when they are babies because they are tiny enough to fit into your palm. Baby parakeets usually yawn when they are sleepy, and they flap their wings when they are happy. Check this out: https://www.youtube.com/watch?v=74KoPQkxDwc . The good thing about these birds is that they can be trained to do different tricks, all you need to do for your pet is to get them some toys that they can play around with in their cage or the house. You can also teach them to recognize commands such that they will be able to know when to go into their cage and when to come out. In addition to this, you can also train your parakeet to ride a tiny skateboard. Parakeets produce very pleasant sounds. They tend to chirp when they are happy, or when they are excited. If you are a bird person, this can help to improve your moods. The birds have a great sound to wake up to early in the morning. Learn about Parakeet Lifespan How Long Do Parakeets Live here! Due to their small size, parakeets can be kept as pets even in a small living space. 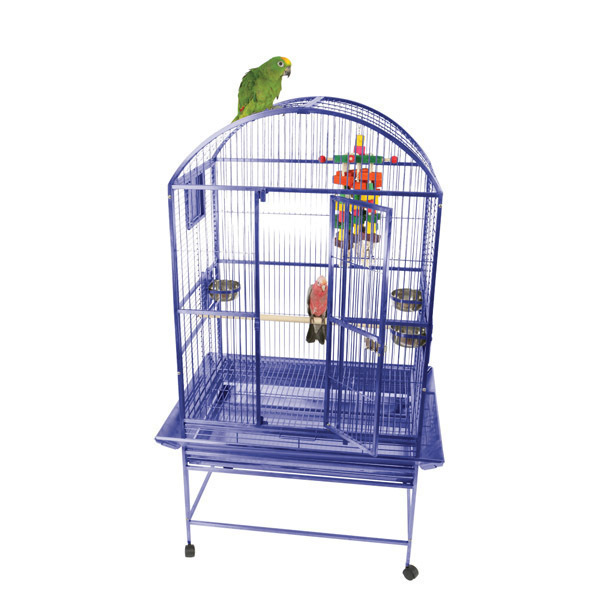 Moreover, parakeet cages are relatively small, which makes it easier to carry your pet even as you are traveling. Since birds love to fly around, it is essential that you make sure that your home is safe for the bird. These birds might be tiny, but they can be fantastic pets, and they bring lots of joy and teach you a thing or two about friendship and care.